KFC has launched a new gaming side-arm. 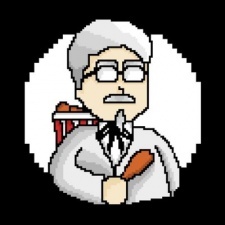 The fast food chain recently released a teaser trailer on a new YouTube channel, with clips of video games containing KFC's founding father, Colonel Sanders. Footage of Fornite is also shown in the trailer, so we could be expecting a cluckin' surprise coming to the battle royale title soon. It's unclear as to what KFC Gaming will entail, but the company has a huge social media strategy in place. It's even sending out vouchers for free chicken to a number of gaming influencers. "We know KFC fans love gaming and it’s something we’ve wanted to get involved with for a while. We’ve dabbled in the past, but this time we are going big! We’re very excited to announce that this is our full-entry into the gaming community," Said KFC UK social media manager Josh Benge. "KFC Gaming will act as your go-to source for gaming updates, bespoke content, memes and much more; plus something huge is coming in the very near future, more news floating in a Fortnite or two..."
According to Kairos co-founder Mike Craddock, the launch video received over 20 million impressions in one day, as well as racking up over 1.4m views and 10,000 followers in its first 24 hours.